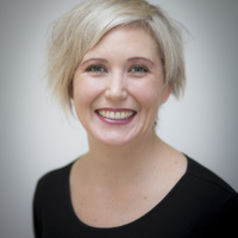 Anna Hickey-Moody is a Professor of Media and Communication, ARC Future Fellow and RMIT Vice Chancellor's Senior Research Fellow. Between 2013 and 2016 she was the Head of the PhD in Arts and Learning at the Centre for The Arts and Learning at Goldsmiths College, London and has also held teaching and research positions at Sydney, Monash and UniSA. Anna is known for her theoretical and empirical work with socially marginalized figures, especially young people with disabilities, young refugees and migrants, those who are economically and socially disadvantaged, and men at the margins of society. She is also known for her methodological expertise with arts practice, which has links to contemporary debates on methodological invention. Her books include 'Youth, Arts and Education' (Routledge, 2013), 'Unimaginable Bodies' (Sense Publishers, 2009) and 'Masculinity Beyond the Metropolis' (Palgrave, 2006). Showing leadership in the fields across which she works, Anna has edited a number of collected works - recently she published an anthology on art practice with Rowman and Littlefield (Arts, Pedagogy & Cultural Resistance 2016) and has also published collections on disability and media, Disability Matters (Routledge, 2011) and Deleuze and social politics (Deleuzian Encounters Palgrave, 2006). Anna teaches and supervises in the areas of arts practice, disability, youth culture, masculinity, the cultural politics of schooling and aesthetics.